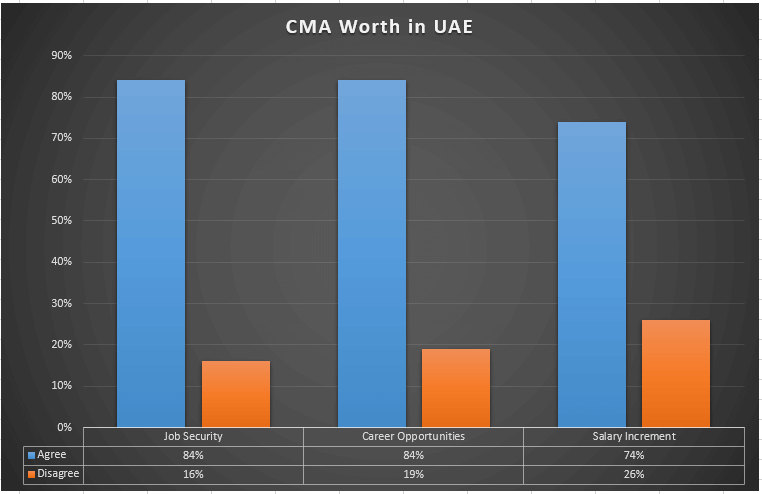 What is CMA salary in UAE? What will be your worth in current challenging economic situation in the UAE? There are multiple reasons to study and pass CMA exam in UAE. Salary / Compensation is the most important motivation to study and pass CMA certification. 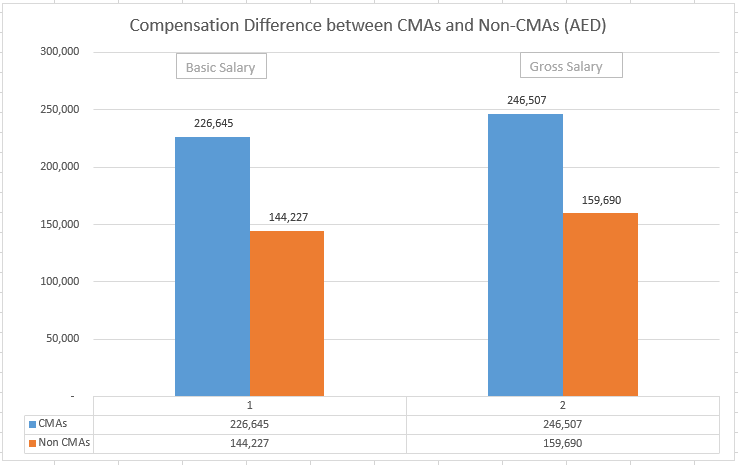 IMA Salary Survey is the most authentic document to seek answers related to trends in compensation and worth of doing CMA certification in UAE. You will be really excited to read all the benefits of doing CMA in UAE. This post is specifically complied for CMA students in UAE. We highly encourage you to read this post till end. The good news is that 64% said it was either very likely or somewhat likely that they would receive a raise next year, with an average expected raise of almost 15%. UAE is heading towards sustainable economic growth as per IMF. UAE economy is expected to be triple in coming years. This definitely points to brighter days for employees in the UAE. In future demand of CMA is expected to be higher then normal due to VAT in UAE. VAT compliance will encourage employers to hire qualified individuals. This is really the right time for you to start doing CMA certification in UAE before there is more competition. You can contact us for CMA training requirements in Abu Dhabi and Dubai. Qualified finance professional, diversified experience, passion for learning with ability to guide our students in right directions, are few snapshots of Namita's portfolio.